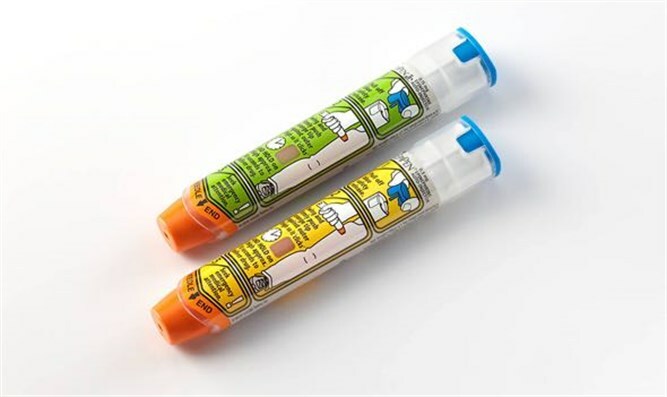 MDA initiates a revolutionary new project that connects those carrying an epipen with those currently suffering from an allergic reaction. If you’ve ever suffered from a severe allergies reaction, you know very well, how vital and critical it is to have an epipen available in the first minutes after the incident. In Israel there are 40,000 people suffering from life threatening allergies, out of which 7,000 children, who for them, a severe allergic reactions could end in death after only a few minutes. Most of these patients carry an epipen with them at all times. MDA initiated a new and revolutionary project that connects those carrying an epipen with those currently suffering from an allergic reaction. The project was unveiled yesterday, at the Israeli Association of Food Allergies conference, that took place at the business administration faculty at Bar Ilan University, which accompanies the project with an evaluation research, headed by Professor David Schwartz. Epipen is an automatic syringe with adrenalin that has been proven to save lives as preliminary treatment in cases of severe allergic reactions (anaphylaxis). The shot is injected to the hip and causes a relaxation of the respiratory muscles and blood vessel contraction immediately, following their expansion and drop in blood pressure. This enables the patient to survive until the arrival of MDA teams to the scene, and today, any individual diagnosed as suffering from severe allergies, carries an epipen at all times. The innovative project utilizes crowdsourced wisdom of a unique group suffering from a similar medical condition. The need for the project arose since many of those who should carry an epipen, do not do so regularly. As part of the new project, when an emergency called is received at MDA’s 101 emergency line, about a severe allergic reaction, MDA’s command and control system will detect, using the MDA mobile app, those who carry epipens and are found only several minutes from the scene. Simultaneously an MDA team will be dispatched to the scene, and the MDA EMTs and paramedics at the dispatch center will instruct the caller over the phone on what to do until their arrival. Upon registering for the project, the civilian will state whether he or she has an epipen for treating adults or children, due to the difference in dosage, and the system will know to pair the epipen with the patient. As to avoid leaving civilians in emergencies without an epipen, MDA teams, who carry epipens as part of their emergency response gear, will provide the civilian with another epipen.